Google has added support for KML in the browser version of Google Earth. Download the KML above and follow these instructions to load it. 2017 Update! Added the Capitol Dominance Overlay. 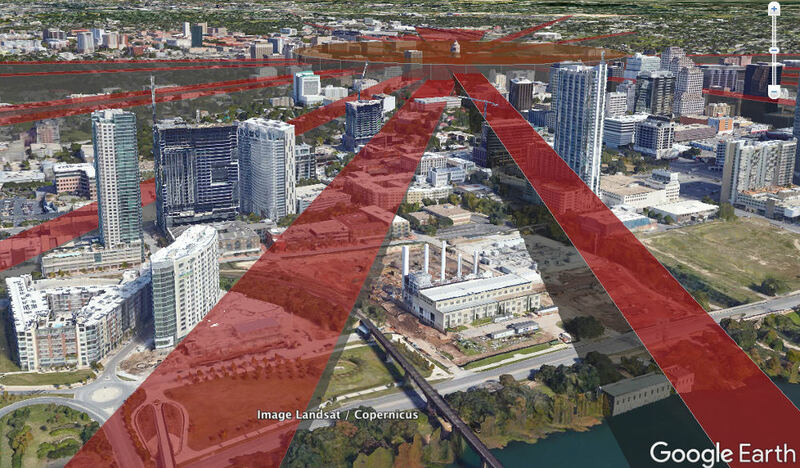 The file includes state-defined corridors and City of Austin-defined corridors.